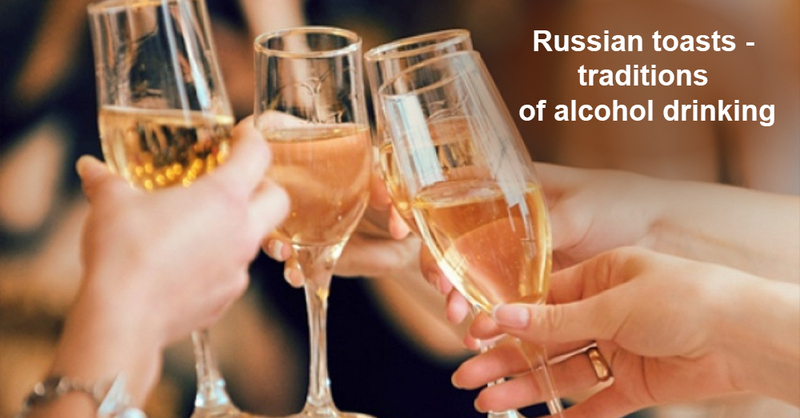 Today we are going to tell you about Russian toasts that are said when people come together to celebrate a holiday. If you are invited to a Russian party but you don’t know what to say when you sit at a table with Russians, this article will help you a lot! Russians sometimes say: Ваше здоровье! – [vashee zda-ró-vye] – Your health! They say this toast when they address a person who is older than them, or a group of people. Твоё здоровье! – [tva-jó zda-ró-vye] – Your health! Russians say this toast when they address a person they know really well. There is also a toast which does not refer to alcohol drinking. This is a toast “na zda-ró-vye”. You address this phrase to a person who has thanked you for the meal. This toast means to have a drink as a sign of farewell before you go away. English: Let us drink to the success of our project / business! English: May we always have a reason for a party! English: To our get-together! May we meet up more often! English: To the birthday girl! / To the birthday boy! English: May your dreams come true not only on your birthday! This is a typical Russian toast at a wedding. When one of the guests say “Горько!”, a newly married couple should kiss each other. After a toast has been said, there is a tradition to clink glasses. People clink their glasses to symbolize their unity. In the past, people used to do it in order to demonstrate their trust into each other, as well as to prove that the wine had not been poisoned. We have collected the most popular toasts for formal gatherings and parties with friends. Good toasts are always an excellent icing for any kind of parties!